We had a lovely night at the Iona Gallery for the start of the Food on Film Festival. As well as watching a documentary about bees, Queen of the Sun, we saw all the bug-inspired artwork on display. 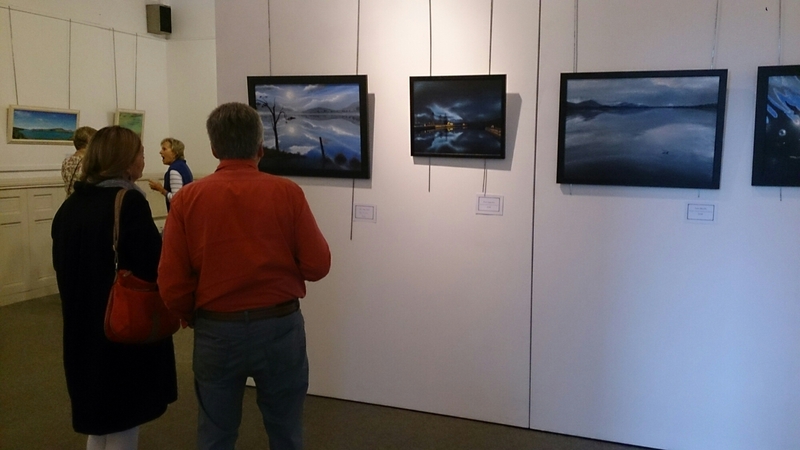 The members of the Society of Badenoch and Strathspey Artists have produced some exceptional work this year. My painting is hanging up there too, along with work by my pupils at Grantown Grammar School. The festival is on until Sunday; more information can be found by clicking here. Categories: Exhibitions, Painting | Tags: Food on Film Festival, Iona Gallery, Kingussie, Society of Badenoch and Strathspey Artists | Permalink. I’m back at the easel and have been busy creating a piece for Kingussie’s Food and Film Festival. The festival starts on Thursday night, with a showing of the film, Queen of the Sun, which is about the crisis affecting the world’s population of bees. There’s lots of other films, events and activities organised. You can get more details about the programme by clicking here. These are a couple of details from my painting. It will be on show at the Iona Gallery between Thursday and Sunday. Categories: Exhibitions, Painting | Tags: Food on Film Festival, Iona Gallery, Kingussie | Permalink. Just two days left to have a look at my new pictures in the lovely Iona gallery, before I’m off on holiday. It’s a brilliant venue, and I look forward to showing work there again in the future. 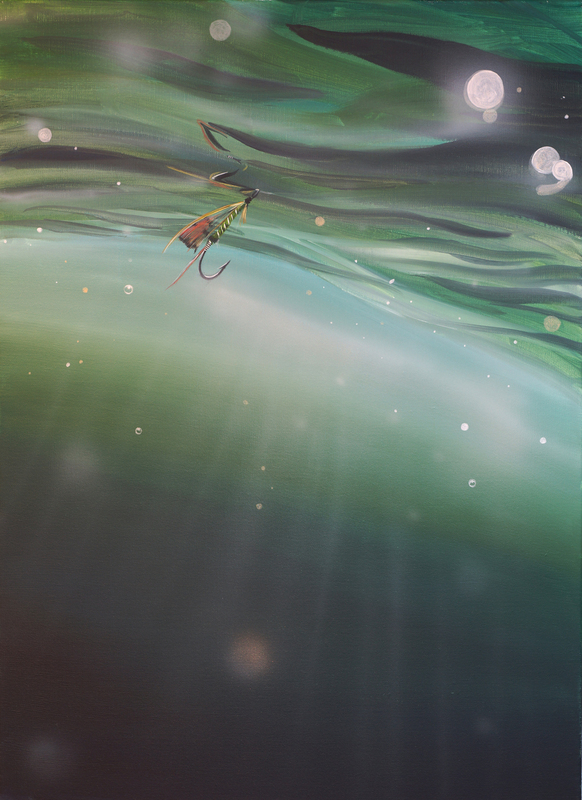 Categories: Exhibitions, Painting | Tags: Beneath the Surface, Iona Gallery | Permalink. 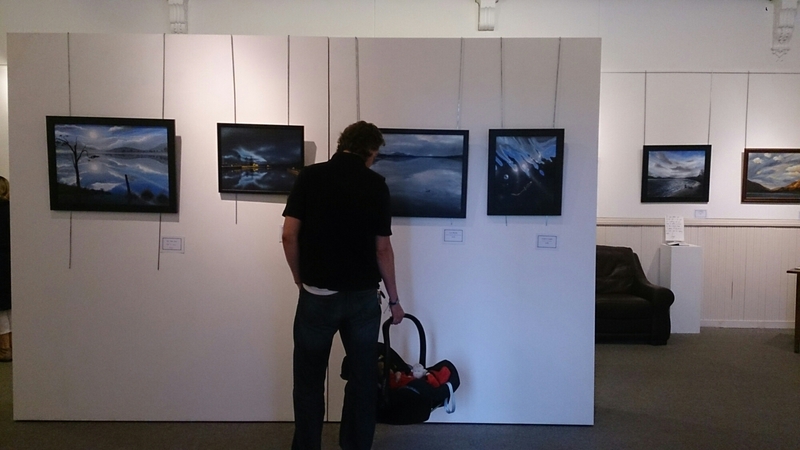 Categories: Exhibitions | Tags: Beneath the Surface, Iona Gallery, private view | Permalink. 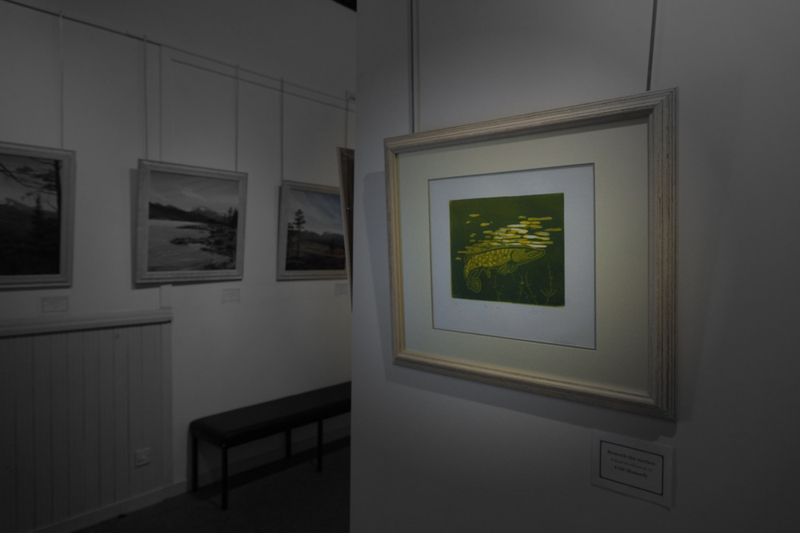 My work is on show in the Iona Gallery until July 19. I’m delighted with how the pictures look in the space. Thanks to all who came along for the preview evening last night and helped make it such an enjoyable event. 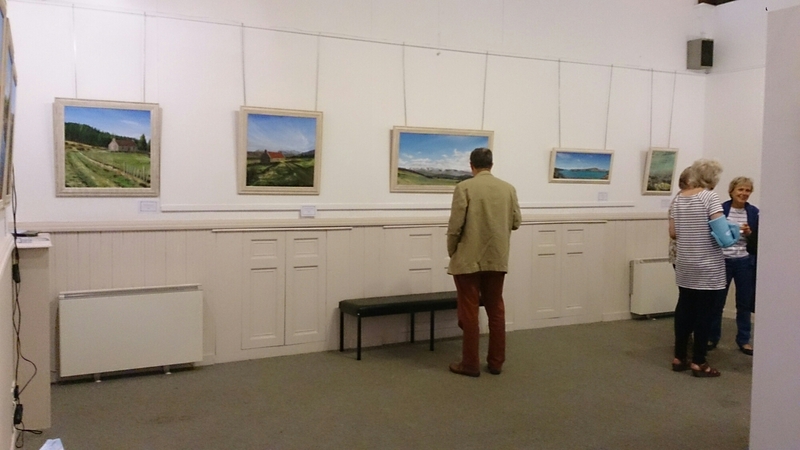 Here’s some pictures of the work in the lovely Iona Gallery. Categories: Exhibitions | Tags: Beneath the Surface, Iona Gallery | Permalink. Iona Gallery, until 8th of February. There will be a display of work based on the film “Kiss the Water”. 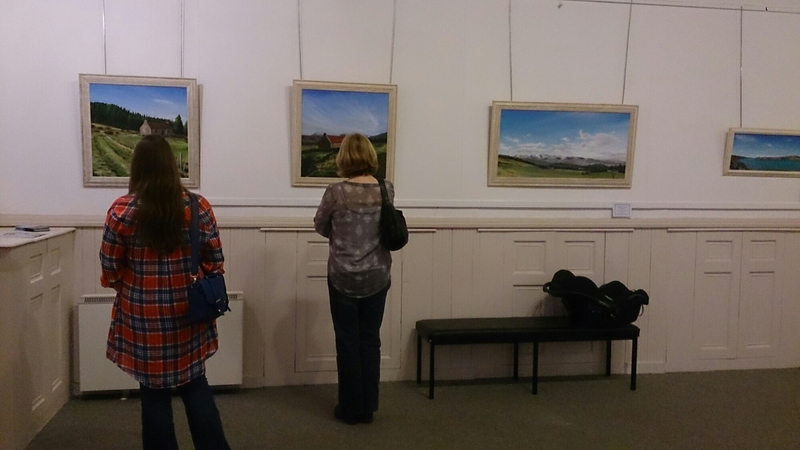 There is work from Grantown and Kingussie High school pupils and from members of the very talented Society of Badenoch and Strathspey Artists. The opening night yesterday was a wonderful event. The film has inspired a wealth of interesting work. I will try and post some pictures to share on Sunday. I was particularly taken by a life-sized felt trout and tea cosy with fisherman and salmon. Categories: Exhibitions | Tags: fish, Food on Film Festival, Iona Gallery, Society of Badenoch and Strathspey Artists | Permalink.